Easter is a Holiday that has always been celebrated in my family. As a child, my siblings and I would wake to find several Easter baskets that the Easter Bunny left for us–well, our parents, grandparents, and great grandparents, anyway. We would dye eggs with food coloring and have Easter Egg Hunts, some of which were real eggs and some were plastic ones filled with candy or money. We would also go to church. As teenagers, when the fun and games associated with Easter became just fond memories, we started attending Sunrise Services at our church, which were always moving events filled with music and messages from the Pastor. I hope that you all have a wonderful, joyful, and happy Easter! Newspaper article describing the first Christmas tree my 2nd Great Grandmother had as a little girl. Although I have a few holiday family history stories for Christmas, one has quickly become my favorite. The story involves my 2nd Great Grandmother, Anna Margaret “Maggie” (Leishman) Lapham (1875-1951), who wrote a letter to one of her nephews recalling her first Christmas Tree when she as about seven years old (so in about 1882) in pioneer Nebraska. Her nephew sent in the story and it was published in a local newspaper, the Wheeler County Independent. I enjoy this story very much. Not only is it a cute story, but it adds a dimension to the life of my 2nd Great Grandmother that would be lost without it. I hope that you enjoy it, and I hope you have a very Merry Christmas. Although Thanksgiving is a holiday very much about family, I have not uncovered any stories that have been passed down in my family about the day. 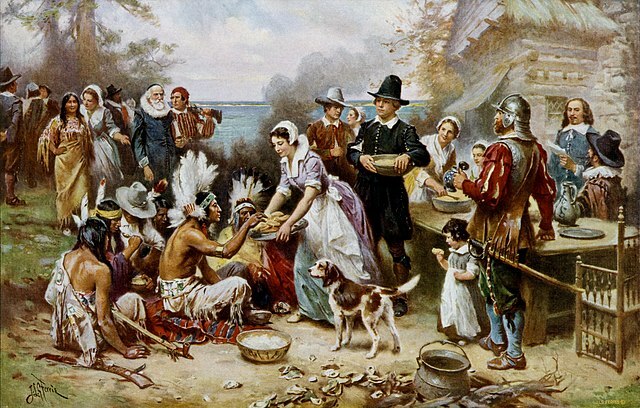 Many genealogy bloggers are taking this opportunity as we, in a sense, reenact the First Thanksgiving (in America) to share their descent from Mayflower passengers. My research into my own family history has not found (yet) any verifiable connection to 103 individuals that sailed aboard the Dutch cargo vessel, departing Plymouth, England and arriving in Plymouth, Massachusetts in 1620. There are, however, some potential connections, which include descent from Richard Warren, Francis Cooke, and Stephen Hopkins. They are potential connections because I not only have these surnames in my ancestry, but those baring these surnames in my line are traceable to Massachusetts in the mid- to late 1600’s and through the 1700’s. I have not been able to make a definitive connection, however. Although I have only a few holiday family history stories for Halloween, one in particular stands out, which involves my maternal great grandmother, Irene Vera (Balla) Sebok (1913-2006). When my great grandmother was a young girl, between ten and thirteen years old, she and her family lived in Texas. In the weeks prior to Halloween, the one room country school she attended decided to hold a Halloween dance, for which students were encouraged to dress up. 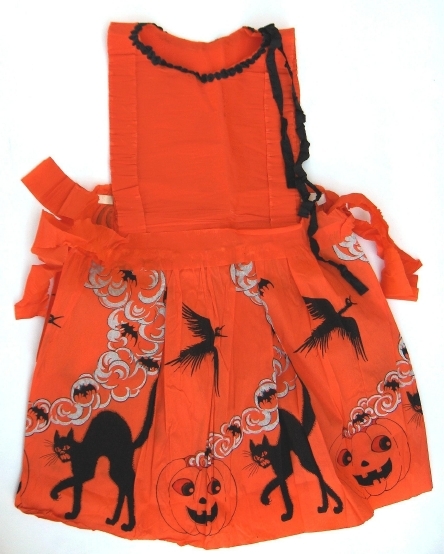 Growing up in a rural area and being one of eight children born to Hungarian émigrés, there was no access to or money for party dresses or Halloween costumes. Being a resourceful and creative young girl who liked to sew and make things, she was able to get enough purple, black, and orange crepe paper to make herself a Halloween costume dress. She was very proud of the dress because it looked like a real Halloween paper dress and didn’t really cost here anything to make it. Despite the fact that it was October and clouds were in the sky, she did not leave the house with a coat, because she didn’t want to flatten down the dress she had worked so hard on. While walking to the dance, it began to rain; and by the time she reached the dance, she was soaked and her homemade paper dress was ruined, with the purple, black, and orange dye in the crepe paper running all together and all over her legs and arms. Her older brother, Alex, was already at the dance. Seeing her soaked and looking like an absolute mess, he gave her his coat to wear and immediately took her home. According to my great grandmother, neither of them were very pleased to leave the dance, and her brother even threatened to whip her. Of course, he didn’t and the whole event was something the two laughed about in later years, particularly my great grandmother. In recalling this story from her childhood, my great grandmother never mentioned where she received her inspiration or if she had heard that others made these kinds of costume dresses. Growing up in the 1980’s and 1990’s my exposure to crepe paper was mainly party decorations, while costumes for Halloween were made from fabric or plastic. I have since learned that crepe paper dresses and costumes were widely used in the 1920’s and can still be found today. Martha Stewart even has a video on “How to Make Crepe Paper Costumes” on her website. 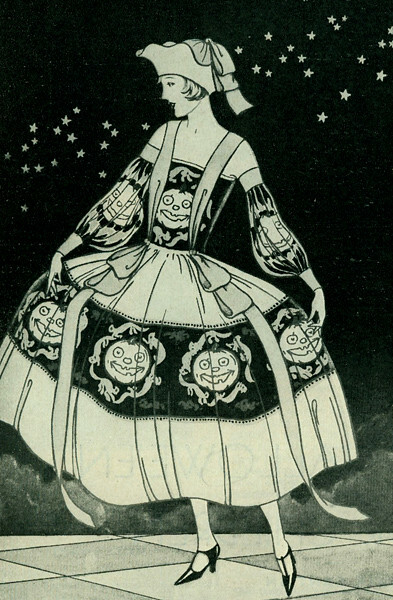 An interesting article, entitled “Have a Crepey Halloween,” about Halloween and crepe paper costumes can be found on Jonathan Walford’s Blog, A Fashion History Perspective. The Kansas Historical Society’s Kansapedia website also features an article about Halloween that talks about crepe paper costumes. I always enjoyed this story as a child, and hope that you do as well. 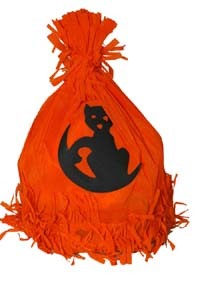 Do you have any Halloween related stories in your family history? Have a Happy Halloween!